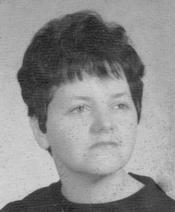 JOAN LEFLER (nee Webb), age 69. Beloved wife of Howard; dear mother of Bruce (Teresa), Phillip (Susan), Joann (David) Hardy and Melissa Lefler; grandmother of six; great-grandmother of one; loving sister of fifteen. The family will receive friends THURSDAY 2-4 and 6-8 PM at BODNAR-MAHONEY FUNERAL HOME, 3929 LORAIN AVE , CLEVELAND. Interment 11 AM Friday at Ohio Western Reserve National Cemetery, Rittman, Ohio.